Driving to work this morning I stumbled across this scene. 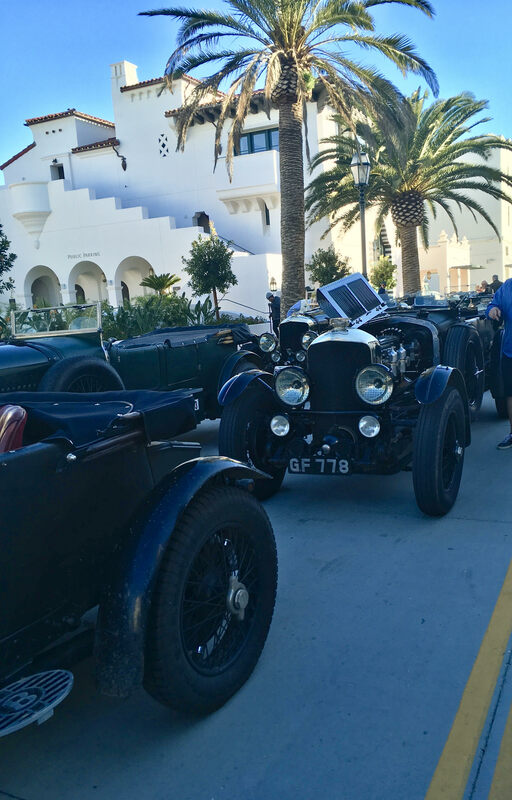 Dozens of adorable vintage cars parked outside the Hotel Californian on a perfect sunny morning. They were all lined up totally blocking the road. I just had to stop my car and jump out to get a photo.....I love this small town beach living in Santa Barbara - there is the perfect blend of relaxed with culture. Lucky me living here!